It's been quite a week for fans of 1990s nostalgia. A few days after The CW said it would bring back sketch comedy show MADtv for a prime-time run, TNT became the second network to go to the TV graveyard, quite literally in fact. 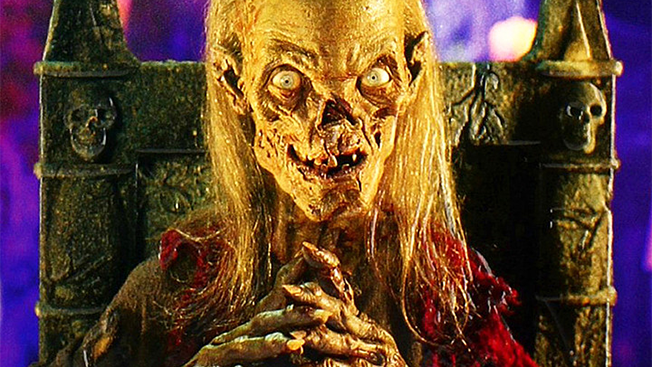 Teaming up with M. Night Shyamalan, TNT has greenlit a 10-episode revival of the horror anthology series Tales From the Crypt, based on the original EC Comics, complete with a brand new Crypt Keeper. The anthology series will anchor a new Tales From the Crypt-branded horror block of programming for the Turner network, which is slated to premiere next year. To fill out the new programming block, TNT has ordered a pilot for Time of Death, a 24-esque anthology series from IM Global Television, which will tell its story in real-time. The first season will follow a murderous psychopath who returns to his Midwestern hometown during the annual county fair to exact revenge on a community he believes destroyed his life. TNT also has psychological thriller Creatures in development. The original Tales From the Crypt aired for seven seasons on HBO from 1989 to 1996.